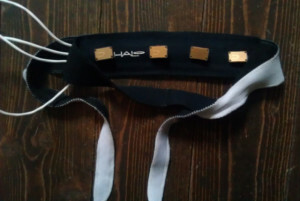 I have started using an OpenEEG headset to track my sleep patterns and prompt me … aware, but not awake, in REM phase, in order to acknowledge and start Lucid Dreaming. In the meantime, read more at Lucid Scribe, Go Lucid, and OpenEEG. This entry was posted in Lucid Dreaming, OpenEEG on 08/02/2014 by Justin. I, personally, really enjoy seeing more and more people, who are trying to investigate consciousness and other sides of reality! Please take my deep appreciations and respect! I also noticed a link to our resource right on this page. Please, do not consider us as competitors. We’re trying to collect as many people like you as possible to share information and support each other. You are more than welcome to attend our team.